Celebrating its 10th year anniversary, one of the most prestigious and longest-running short film competitions, the BMW Shorties has revealed their 12 finalists this year. Deviating from the usual 10 finalists selected every year, the 12 finalists have been selected due to the overwhelming response of the submissions - a total of 115 short films - the highest number of entries for the first time in the history of the competition. 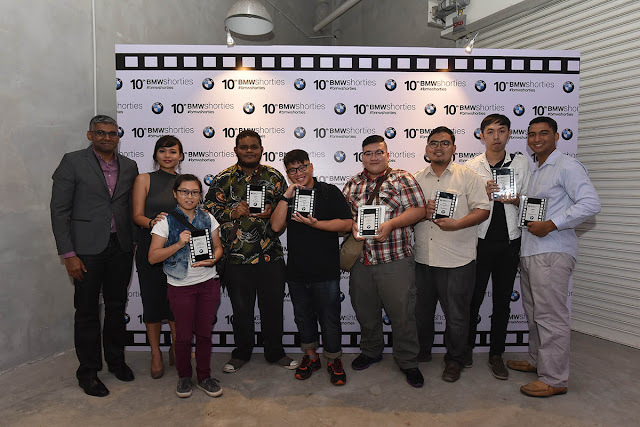 “Over the years, the BMW Shorties programme has become a solid platform for young aspiring film talents in Malaysia to showcase their passion for this art form and to get a career start in the industry here,” said Sashi Ambi, Head of Corporate Communications of BMW Group Malaysia. “This year, our theme ‘Journey’ does not only celebrate our decade-long milestone, but also reflects the success this initiative continues to enjoy,” he added. The judges for this year’s competition features a line-up of Malaysia’s top filmmaking experts such as commercial filmmaker Lina Tan; award-winning director Liew Seng Tat, esteemed screenwriter Nadira Ilana, Thai’s renowned film and sound editor Lee Chatametikool as well as Singapore film producer Yuni Hadi who is also an author and curator specialising in the management of film and media projects. One of the 12 finalists will stand a chance to win the grand prize award of a RM 75,000 production grant alongside promising prospects in the filmmaking industry. The 12 finalists’ short films are up to compete for the People’s Choice Award which opens for public voting from 30 November to 7 December 2016 on bmwshorties.com.my.